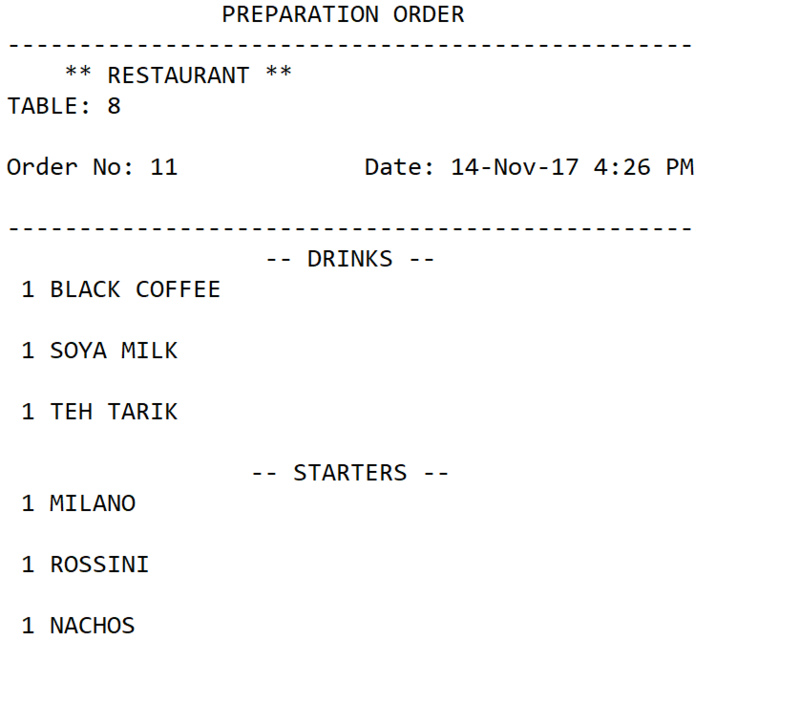 DinePlan have some nice grouping features that we can use for grouping orders on tickets. We need use Group keyword to define and configure groups. 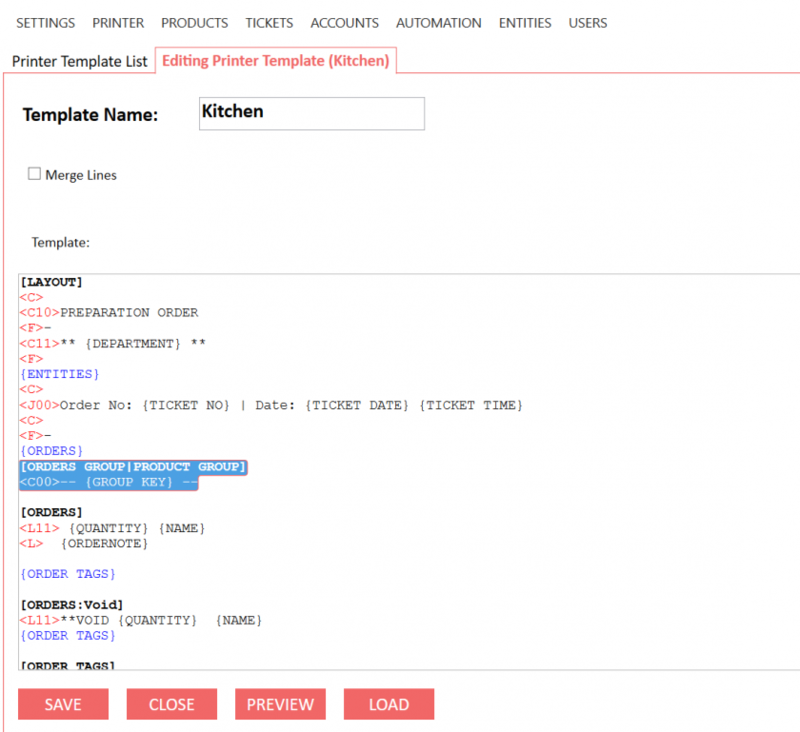 Adding that dynamic section to a printer template means we want to Group Orders by Product Group Code. Product Group Code is the value we entered as Group Code while creating product records. GStatus is an internal value to store gift state of an order. You can configure these values by changing Gift related rules and actions.